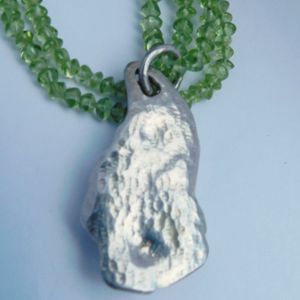 Inspired by a rock in found on a Cape Breton beach, I created this beautiful necklace. 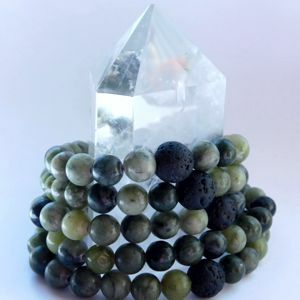 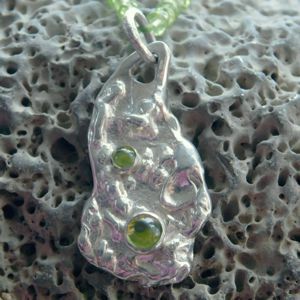 I cast the Sterling Silver over the rock and set Peridot gemstones in the unique silver surface. 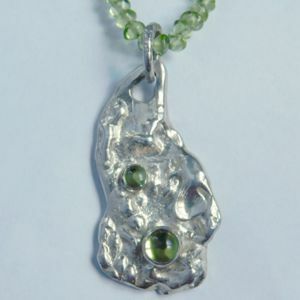 Then I used Peridot beads to give the pendant a nice green shine. 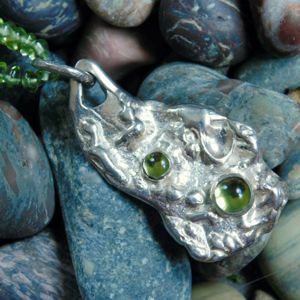 This is a true nature piece. 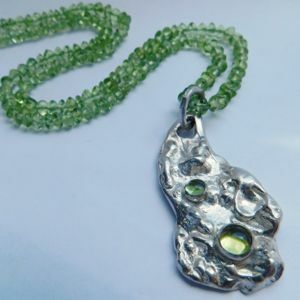 The Peridot necklace is 40 cm long and the gems measure 3 & 5 mm. 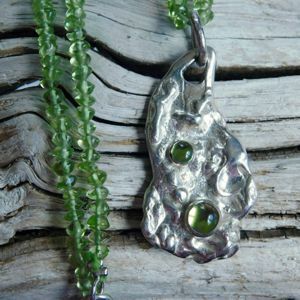 Peridot can be cleaned with most any commercial jewelry cleaner or plain soap and water using a soft brush. 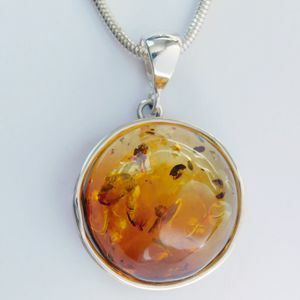 Be sure to rinse and dry your jewelry thoroughly after cleaning. 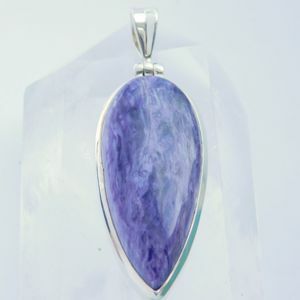 Avoid sudden temperature changes. 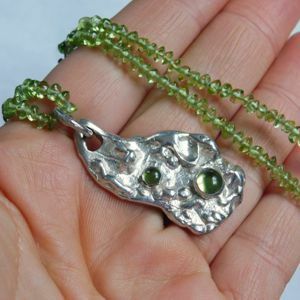 Peridot should never be cleaned with a steam cleaner or an ultrasonic cleaning machine.